With a lift kit, you’ll be seated higher off the ground with larger tires and rims. Choose painted to add some color! Lots of space with large tires and wheels. Cruise with the family in style. 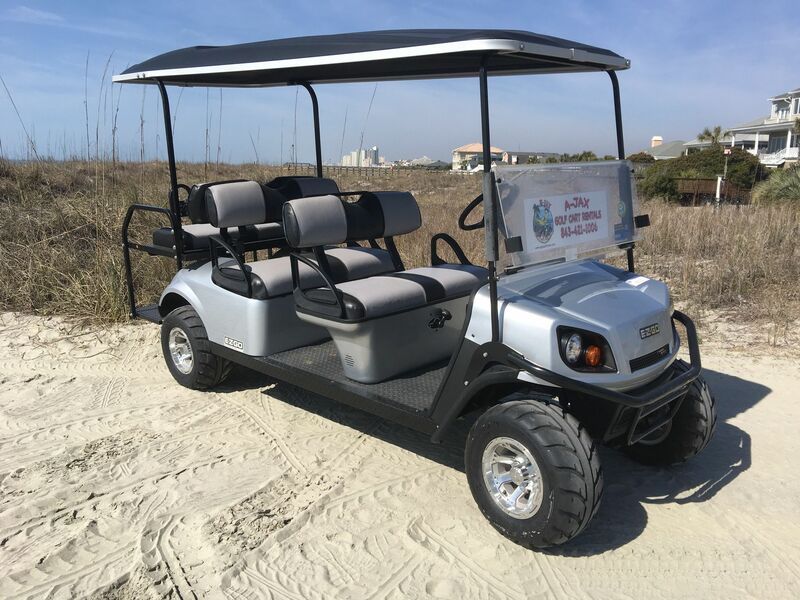 This Low Speed Vehicle (LSV) can be driven at night and meets North Carolina requirements for golf carts. This cart is great for larger families or people who just want some extra space for coolers and chairs. Choose painted to add some color! 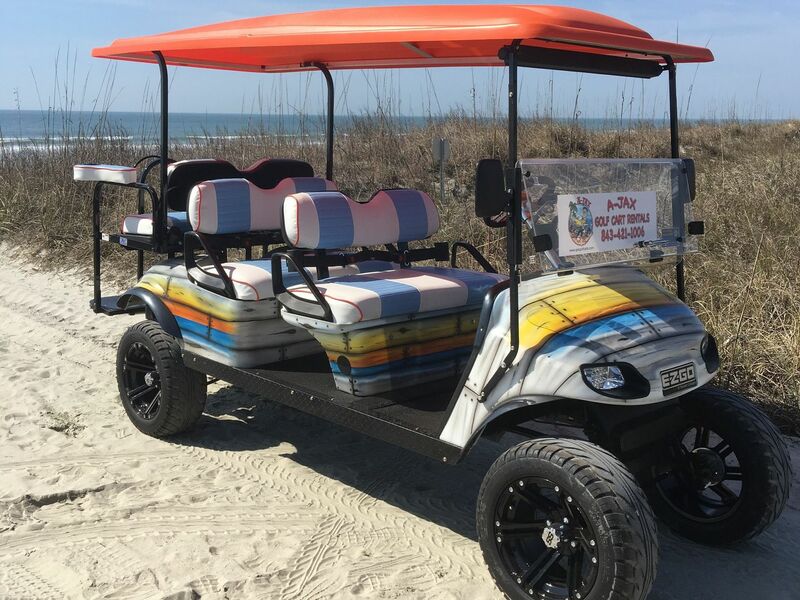 Rides four people comfortably to the beach and back without getting sand in your car. This cart is great for larger families or people who just want some extra space for coolers and chairs. 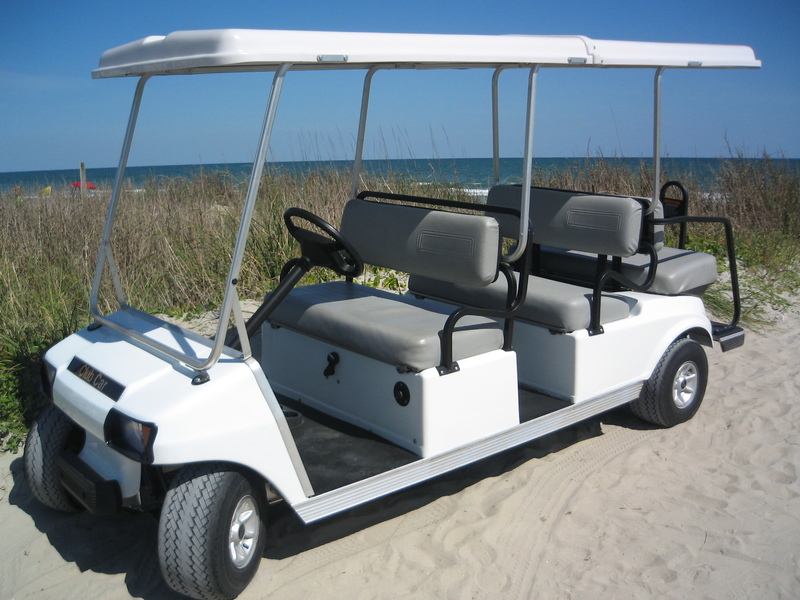 This Low Speed Vehicle (LSV) can be driven at night and has plenty of space and style. 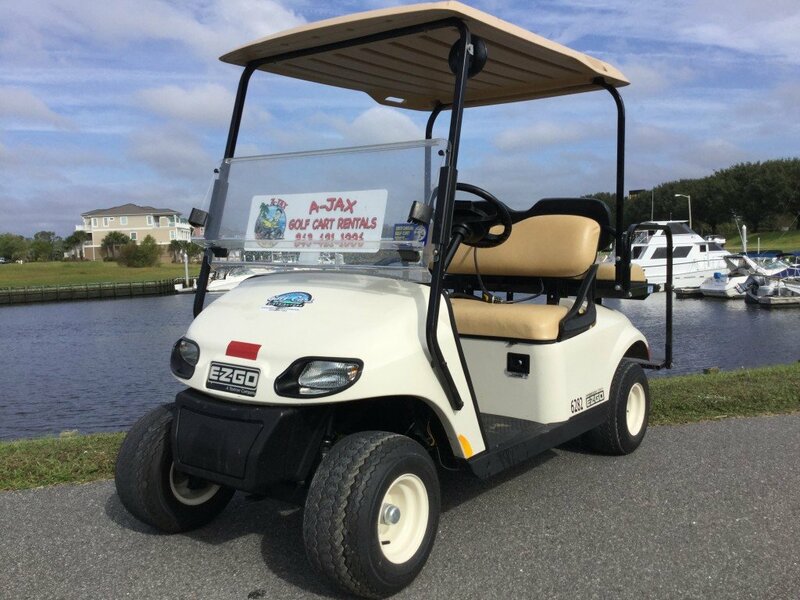 We are your #1 call for professional golf cart rentals on the Carolina coast, including Ocean Isle Beach, Sunset Beach, North Myrtle Beach, Cherry Grove, Myrtle Beach, Surfside Beach, Garden City, Litchfield Beach, Pawleys Island, DeBordieu, and Folly Beach. 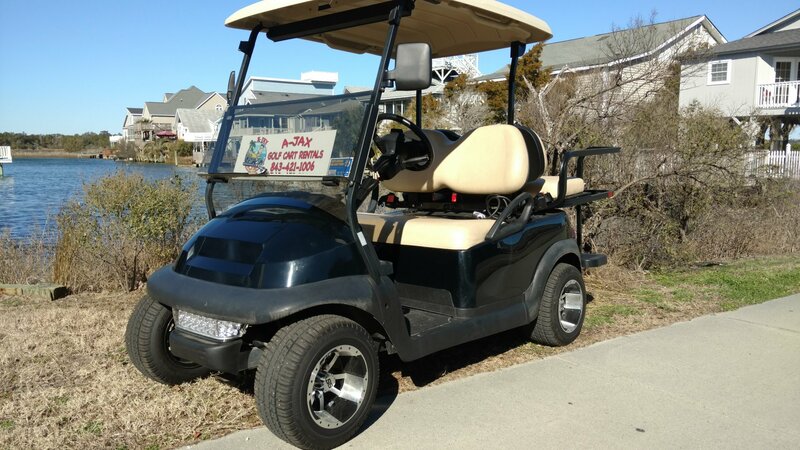 We provide a delivery and pickup service for most of the Carolina coastline! 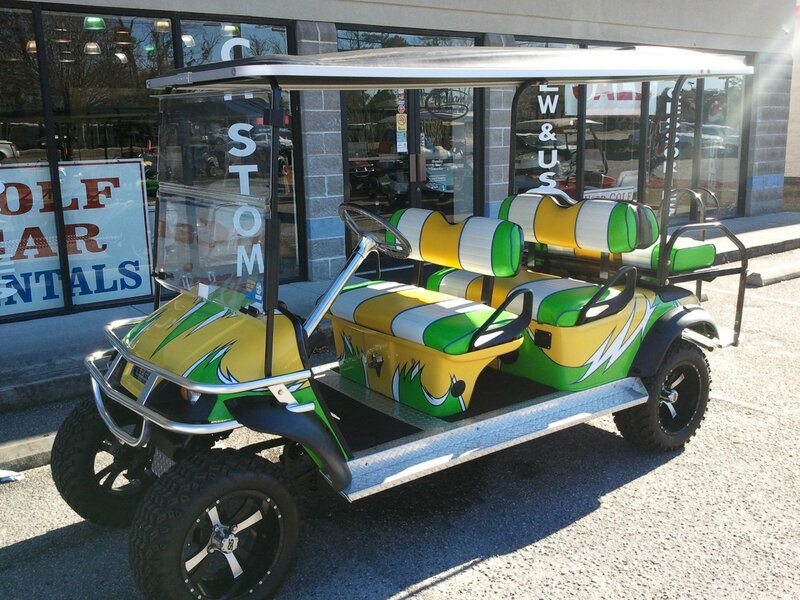 Call us at (SC) 843-421-1006 or (NC) 910-880-8840 with any questions and reserve your golf cart today. 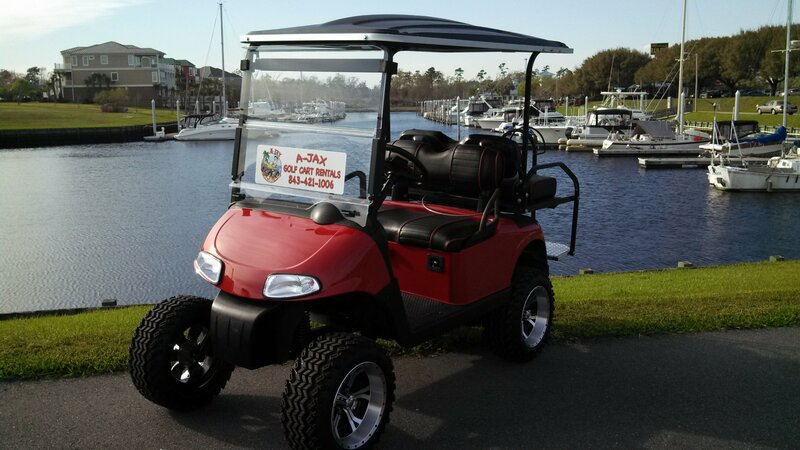 You can also email us with questions at rentals@ajaxgolfcarts.com or order online. We appreciate the opportunity to make your next vacation the best yet!